Start improving profit margins, saving time and increasing sales today. As the competition between businesses to expand their clientele increases, they are looking for efficient and cost effective solutions to improve process efficiency and streamline their business processes. Staff planning has therefore become a big concern for business managers that are looking for a scheduling solution that could help them manage their schedules and tasks efficiently. 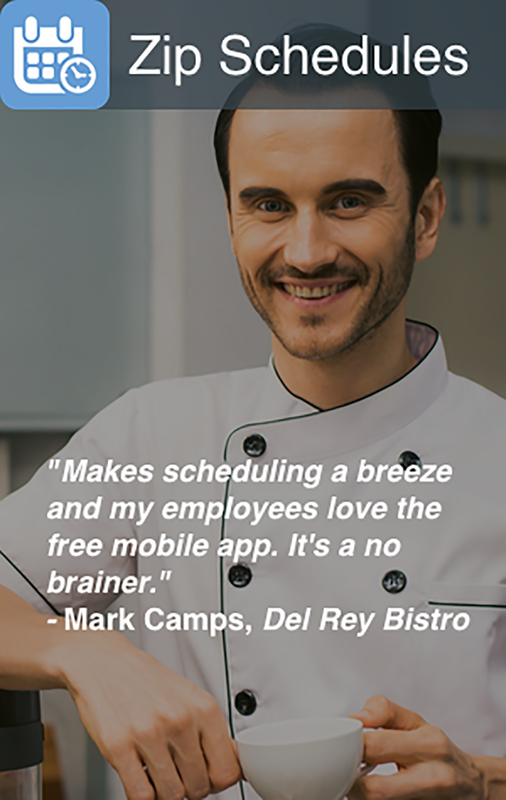 While employee scheduling is beyond doubt a time consuming task, Zip schedules simplifies the process. Staff scheduling can be difficult and stressful. Zip Schedules makes it easy and fun. If you're looking for a scheduling software that could help you perform the tasks of employee planning and scheduling in the most effective manner, you have come to the right place. Download staff scheduling templates in Word and Excel and say good bye to calendars and outdated schedulers. 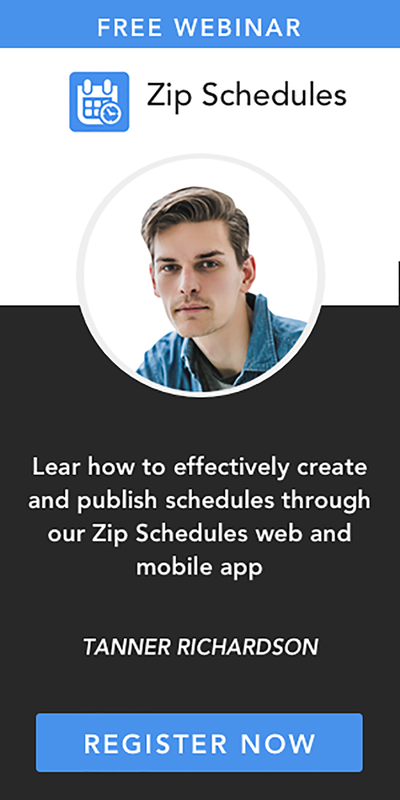 With Zip Schedules scheduling software you can never go wrong. Here is why! Zip Schedules' fast and easy setup enables you to get started with your staff planning without putting in great deal of effort. Furthermore, the startup wizard will take you through the steps and help you create your first schedule within minutes. Staff scheduling can be a tedious process especially in cases where employee availability changes almost every week. Zip Schedules makes it easy for you to duplicate your previous schedules and help you create staff schedules in no time. It also enables you to save your favorite schedules as templates. You can use the saved templates for special occasions and holidays to quickly create new schedules. Start by searching Site/store name, address. Business management has never been easier. Try any business app free. Our scheduled webinars are a great way to learn more.